Part of The Queen City Comedy Experience. 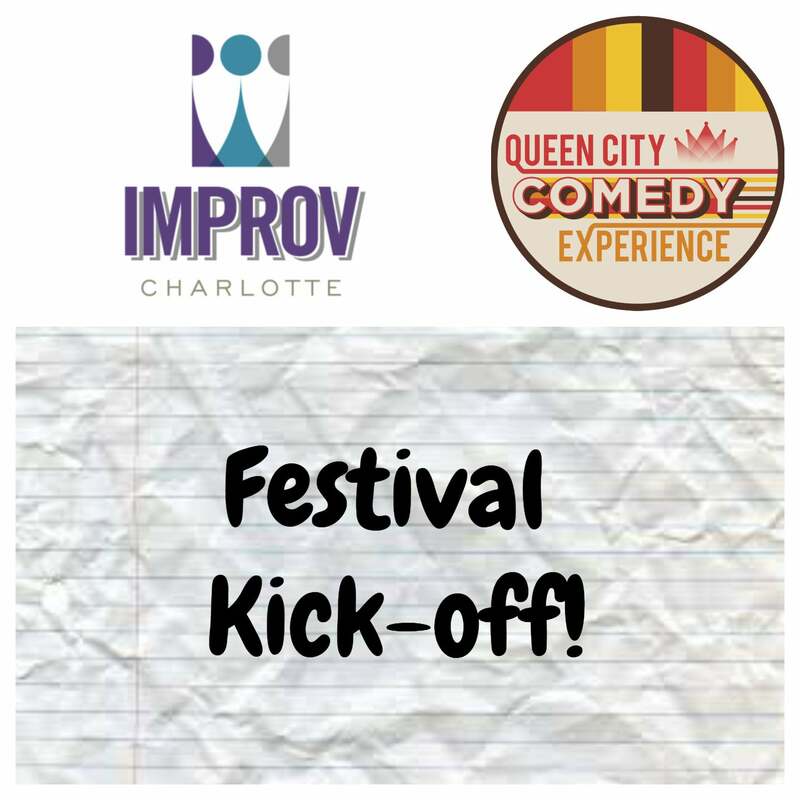 Improv Charlotte exists to Serve their Community through Comedy by creating inclusive, family-friendly improv that benefits their neighbors throughout the Charlotte area. The dedicated team of improvisers use their comedic gifts to bring joy to their fellow humans through interactive, entertaining performances while, together, supporting their community. In 2006 Andrew Weiler promised his friend and coworker, Erin Fede, that if she started an Improv troupe he would help her. Twelve years later, Improv Charlotte has gone from performing in the basement of Forest Hill Church (for audiences that often outnumbered their hand-picked quintet) to a seasoned cast of twelve who consistently pack out venues of 200+ seats. And for them, a sell-out show is more than fun. It fuels their mission. 1 Peter 4:10 says, "Each of you should use whatever gift you have received to serve others, as faithful stewards of God's grace in its various forms." Inspired by this verse, they began serving the city they love through an art form they love. Over the years, the players feel privileged to have donated thousands upon thousands of dollars to over thirty charities. And even though Improv Charlotte may be the ones performing, it is the generous audience members whom attend their shows that make the direct impact in people's lives. Without them or the trusted non-profits, their vision does not come to life. The patrons and the charities are the heroes. Improv Charlotte, three-time winner of Charlotte Magazine's "Best of the Best" Award, puts on shows that consist of both short and long form improvisation. Nothing is scripted or rehearsed. Everything they do is made up on the spot and inspired by audience suggestions. In addition to shows that are both intellectually stimulating and laugh-out-loud funny, all Improv Charlotte shows are family friendly. The players work hard to create memorable characters, relationships and environments while making honest discoveries, observations and reactions. In other words, they put a lot of practice, passion and effort into delivering you the best, most FUN, Improvised Comedy they can. George Bernard Shaw stated he went to the theatre "to be moved to laughter, not tickled or bustled into it." The players of Improv Charlotte want to do that for you, while making a difference in people's lives with you. THANK YOU for helping them care for others through comedy!